The 2019 Ford Expedition for sale at Hollingsworth Richards Ford in Baton Rouge, LA - near New Orleans, Lafayette, and Prairieville - is a versatile three-row SUV ideal for the whole family. A powerful 3.5L EcoBoost® V6 engine with 375 horsepower and 470 lb.-ft. of torque has the ability to get you from Point A to Point B and everywhere in between. It also provides a best-in-class1 maximum towing capacity of 9,300 lbs.2 If you often hit the roads less taken, be sure to add on the optional Control Trac® 4-wheel-drive system for improved traction in a variety of conditions. Inside, you'll find plenty of space. There are three rows of seating to accommodate as many as eight passengers. If you need room for your gear, you can lay down the PowerFold® 60/40-split folding third-row bench and 40/20/40-split folding second-row seats. When you have a full armload, the available hands-free foot-activated liftgate gives you easy access to the back. For the larger items, you'll have black roof-rack side rails up top. Long journeys are made more enjoyable with the SYNC® enhanced voice recognition communication and entertainment system. The folks in the back will also love an optional wireless charging station and Wi-Fi® hotspot so they can stay connected and fully powered. There's never been a better time to buy a new Ford! Browse our new 2019 inventory online, and then visit Hollingsworth Richards Ford at 7787 Florida Boulevard to take a test drive. Ride home in the 2019 Ford Expedition of your dreams! 1 Class is Extended Utilities based on Ford segmentation. At a glance, Ford Expedition styling conveys the best of what a full-size SUV can offer - remarkable comfort and capability with an upscale attitude. It's a design that also speaks volumes about what you'll discover inside: seating for up to eight occupants, plus loads of cargo volume in regular- and extended-length MAX models. The Ford Expedition is designed to take its place on the road in a most compelling way. 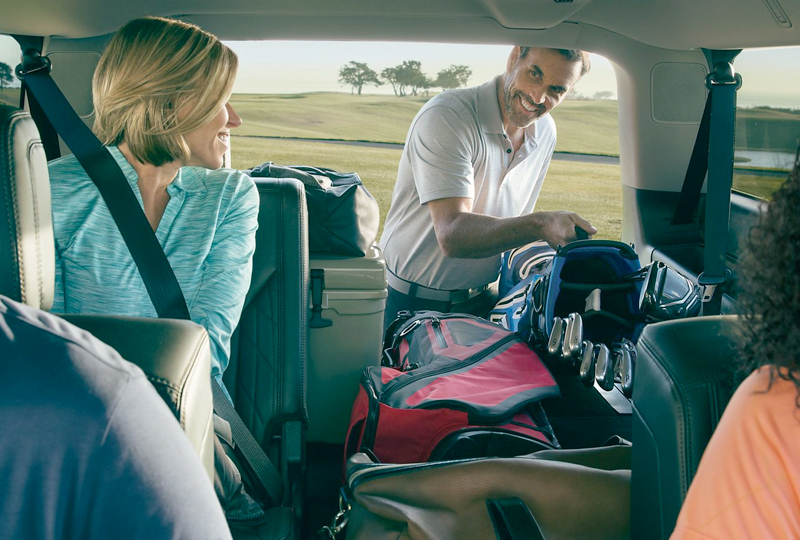 You choose a full-size SUV for all the added capabilities it offers you and your family. Accommodate up to eight passengers in comfort. Haul lots of cargo when called upon to do so. 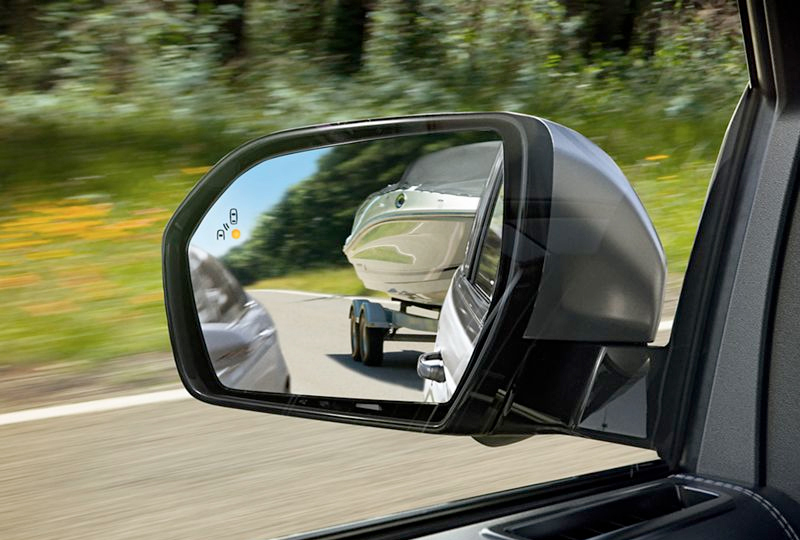 And do other things as well that many other passenger vehicles can't, like towing a boat or trailer weighing up to 9,300 pounds, when properly equipped. When it comes to delivering the capability you need, the Ford Expedition is the full-size SUV that can do it all. 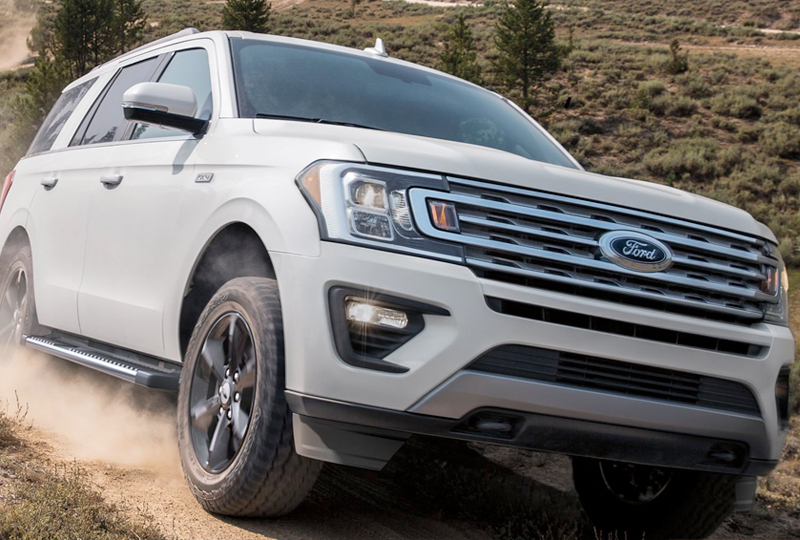 The 2019 Expedition features an array of smart available driver-assist technologies, including BLIS® (Blind Spot Information System) with cross-traffic alert, pre-collision assist with pedestrian detection, enhanced active park assist, lane-keeping assist and adaptive cruise control with stop-and-go. Introducing even more reason to consider Expedition your home away from home. 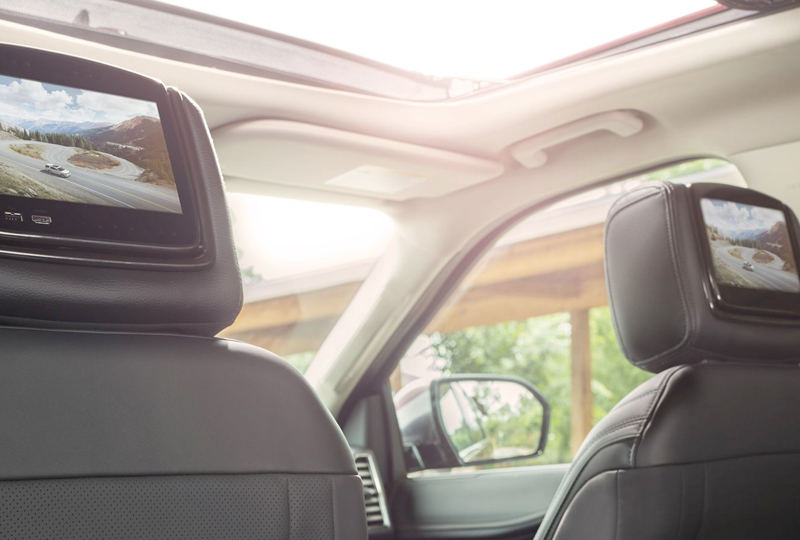 The available Dual-Headrest Rear Seat Entertainment System provides a next-generation video experience that allows passengers to view their home cable programming on either of two video screens or handheld devices. They can play DVDs, plug in a gaming system, stream from a mobile device, and with a Slingbox they can even watch live TV. MSRP for base vehicle shown excluding destination/delivery fee plus government fees and taxes, any finance charges, any dealer processing charge, any electronic filing charge, and any emission testing charge. Optional equipment not included. Starting A, Z and X Plan price is for qualified, eligible customers and excludes document fee, destination/delivery charge, taxes, title and registration. Not all vehicles qualify for A, Z or X Plan. All Mustang Shelby GT350 and Shelby GT350R prices exclude gas guzzler tax.